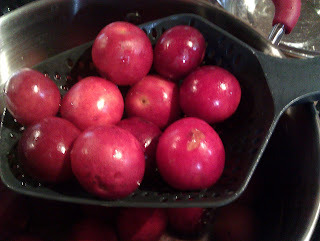 I was busy with canning plum sauce on the weekend and didn’t get a chance to work with the CSA share this week. There were some lovely small potatoes and purple green beans. Yum! 2 big bunches of thyme and basil came with the box too. There were more cabbage and broccoli. I love them both, but they are backing up on me. What to do, what to do. I was thinking of Mother today, she had another episode of stomach ulcer and ended up in the hospital in Hong Kong. She splits her time between Singapore and Hong Kong these days. I then remember she sent me a few packages of curry powder before she left Singapore to Hong Kong. The weather also sudden turned cooler, it’s perfect time for a quick one-pot curry meal. The vegetable is beautiful, I am going to take adventure of this and make it vegan. 1 small cabbage. Cleaned, remove the outer leaves. Cut into 2” chunks. Handful of purple green beans. Cleaned, remove the ends and cut into bite size, make about a cup. You can use any green beans here. 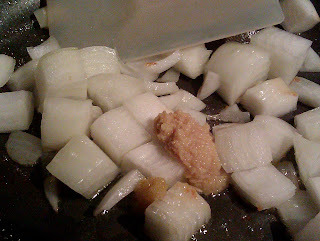 1 small sweet onion. Clean and cut into 1” chunks. 3-4 Tbsp good curry powder. I am using a mix from Singapore. I would recommend the Maharajah style curry powder from Penzey’s spice. I stopped making my own. 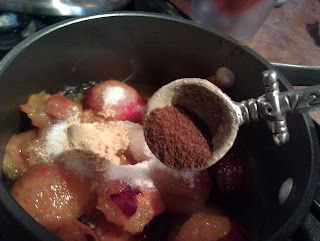 Since there were a few spices in the mix, I ended up with a big batch and I didn’t use it fast enough. 1 tbsp of chopped basil. Handful of basil leaves, stems removed. I would prefer Thai basil in this dish. I am using plane basil today since it is in my CSA. 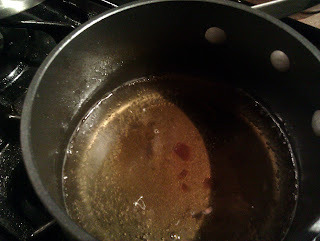 In a medium size pot, heat 3 Tbsp olive oil till hot. Add potatoes to the pot, brown the potatoes and let it cook for about 3-4 mins. Stir in curry powder. It will appear to be very dry. Lower the heat to med and keep stirring to toast the curry powder and open up the fragrant. 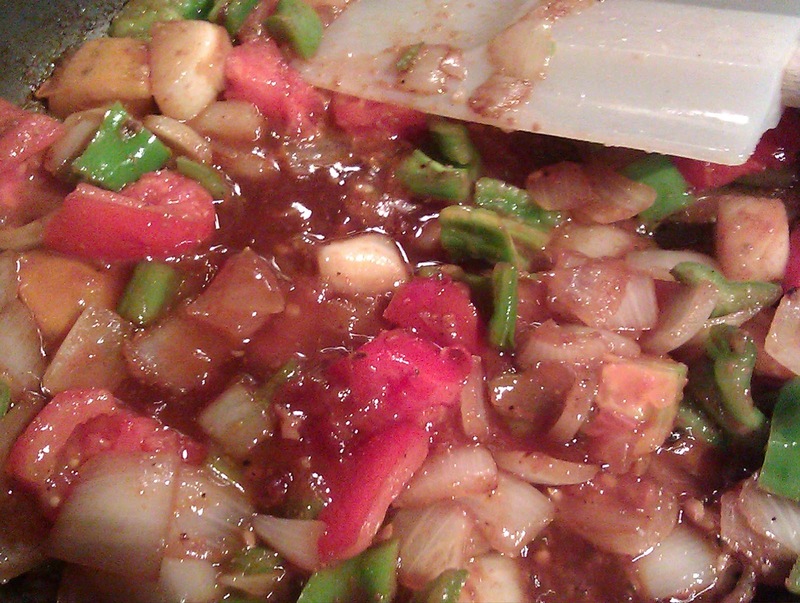 Add the rest of the vegetable – cabbage, beans and broccoli. Blend the vegetable with curry mix. 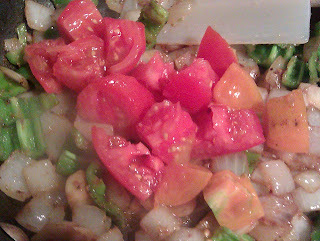 Add water slowly; keep stirring to blend everything together. 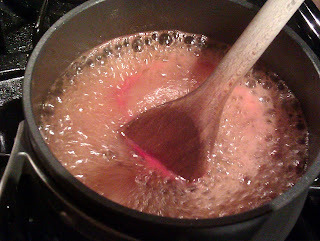 Cover, lower heat to med and let it simmer for about 5 min. Add coconut milk and chopped basil. Taste and season with salt and pepper as needed. Cover again and let the curry simmer till the potatoes is fully cooked. To serve, plate in a shallow bowl, top with a few basil leaves, as you like. 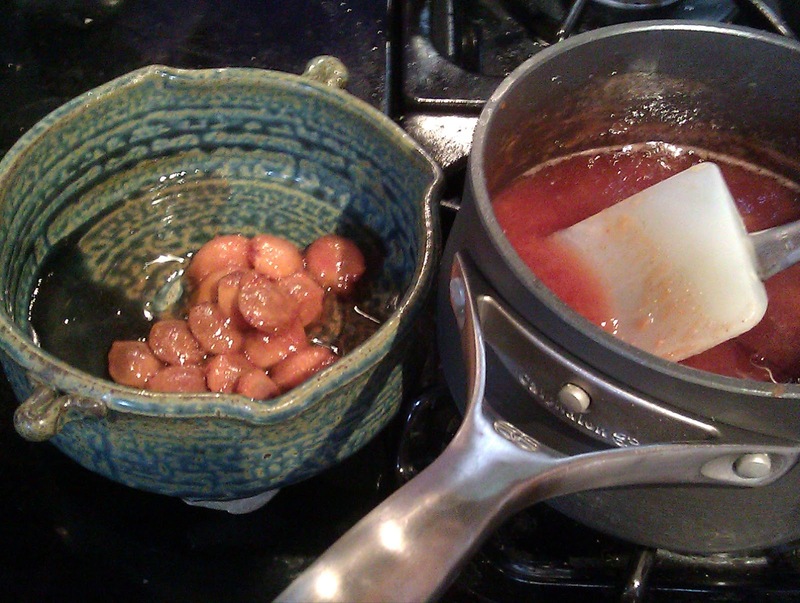 Serve with naan bread or rice. I am having hapa rice. Hapa in Hawaiian means half. Hapa rice is nothing exciting; it’s just ½ brown and ½ white rice. Mix the leaves into the hot curry and the heat will wilt the basil. Keeping that "green" taste! Make sure you have some sauce on your rice! I love that! 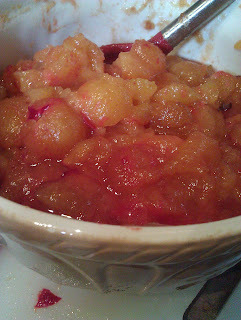 For some reason when most Americans think of Chinese food, they would relate to Sweet and Sour pork or chicken, the bright red shinny sauce with pineapple… That’s not what real sweet sour sauce is. Then there was also the “urban myth” that a good sweet sour sauce is made with tomato and special honey. (The owner of a Chinese restaurant in St Paul MN once told a friend of mine). 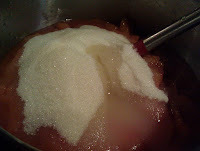 The base of the sauce is actually quite simple: Ketchup, sugar and vinegar, oh any vinegar, you don’t need special Chinese or Japanese rice vinegar. 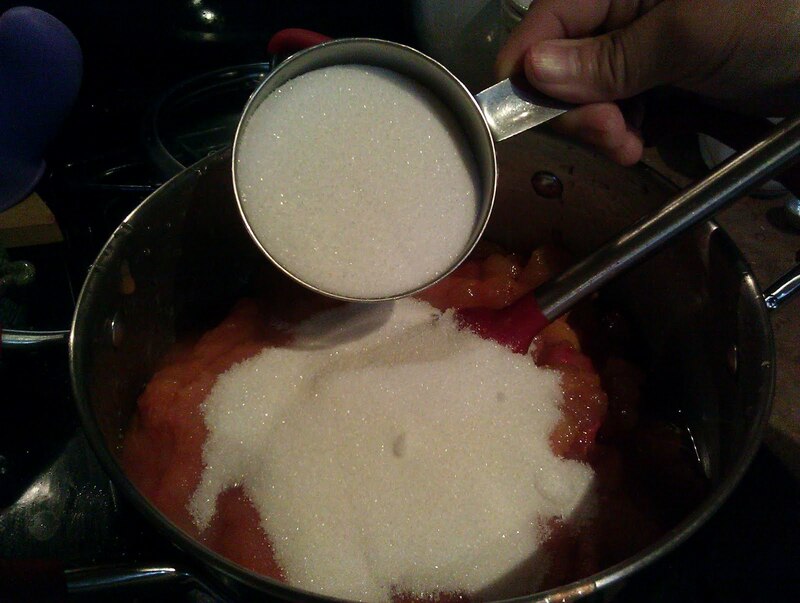 My 2 very dear childhood friends have been asking me for my mother’s sweet sour sauce recipe. We have known each other since we were 3 or 4 years old. We went to the same school and our mothers are friends. We ate at each other’s house quite often growing up. They love my mother’s cooking and of course they know her sauce! My mother does not cooking according to any measurement. 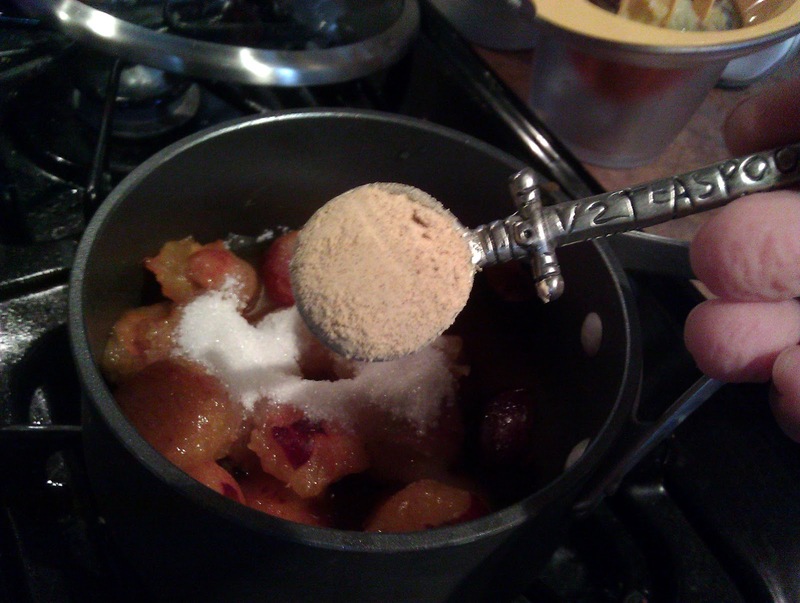 (This is one of the reasons she does not like to bake shh…. I spilled the beans). Her standard measurement is a bowl, any rice bowl she can get her hands on. She showed me the sauce a few years back when she visited me. I missed her Singaporean Chili Crab. Her sweet sour sauce is the base for a few of her dishes including the famous Singaporean Chili Crab. 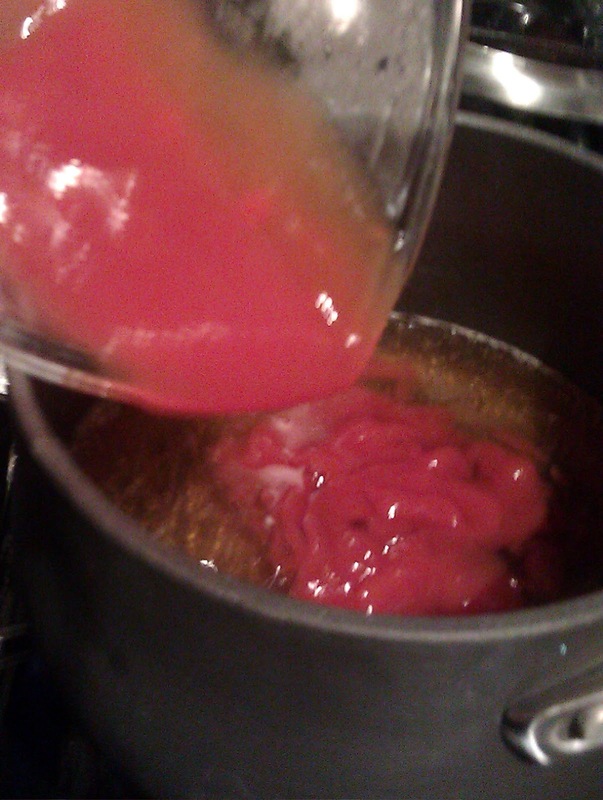 One of the “secret” of her sauce is the additional of plum sauce. Well I made plum sauce today. I have to make this today for my 2 best friends, Gigi and May. This is my modified version. I am going to use the sauce for my Sweet Sour Chicken. This is not the standard Chinese version. 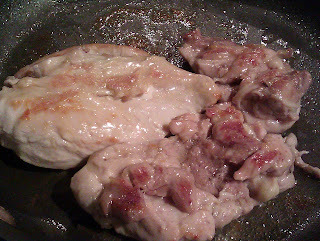 The main difference is, I am going to pan-fried the chicken and top it with the sauce vs. dredge the bite size chicken pieces in egg white and corn starch and deep fried. I am also using the beautiful heirloom tomatoes and sweet pepper from my Week 9 CSA. Combine vinegar, water and a dash of salt in a non-corrosive pan. 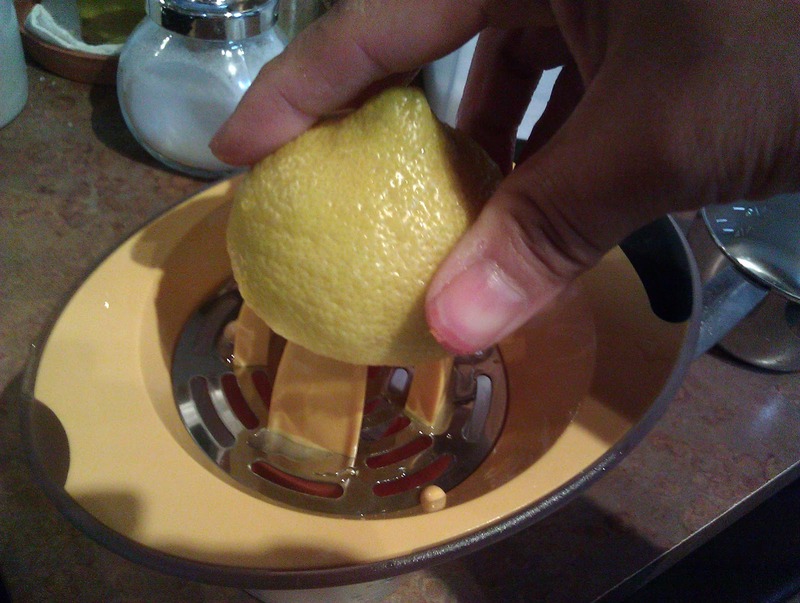 Add the rest of the lemon to the liquid. Bring to a boil. Lower heat to med low and let it cook for about 15 mins. 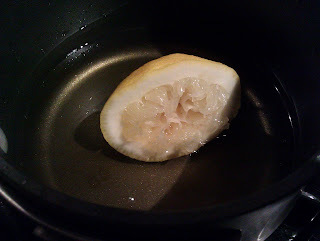 Bring to a boil and lower heat back to low and let it cook for 5 mins. 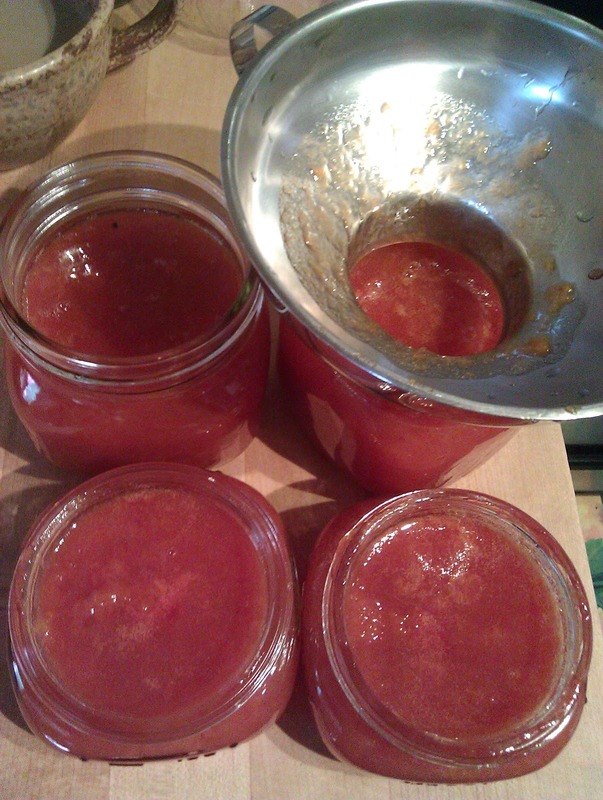 Store in a jar and use within a week, or you can freeze the sauce. Quick note: Response from a reader, the sauce is a little sweet. There are a few things you need to consider and it is very important to keep tasting. We are using a few bottle products here. 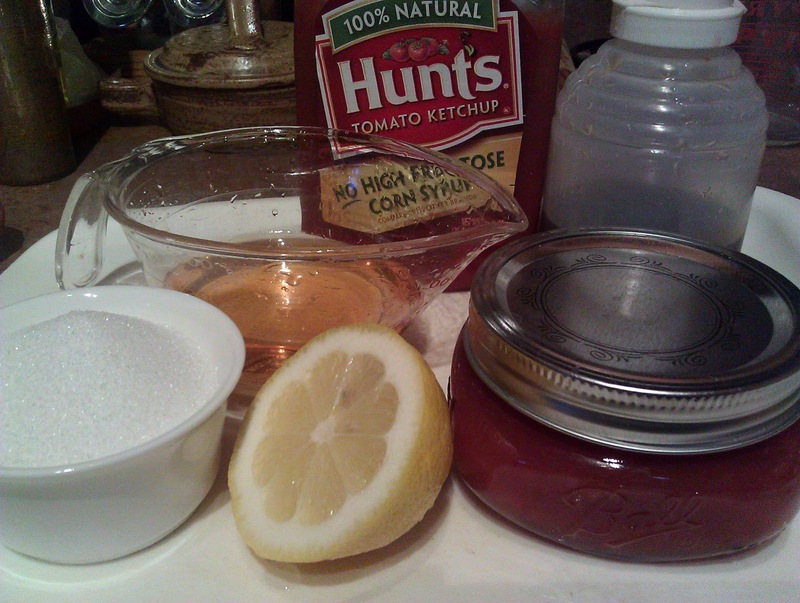 There is quite a bit of sugar in ketchup and each brand is different. Also when you use a commercial plum sauce, the taste will vary a bit. I should strong recommend tasting the sauce while you are making this. You may want to start with 1/8 cups of sugar and add more as needed. I further modified the recipe. 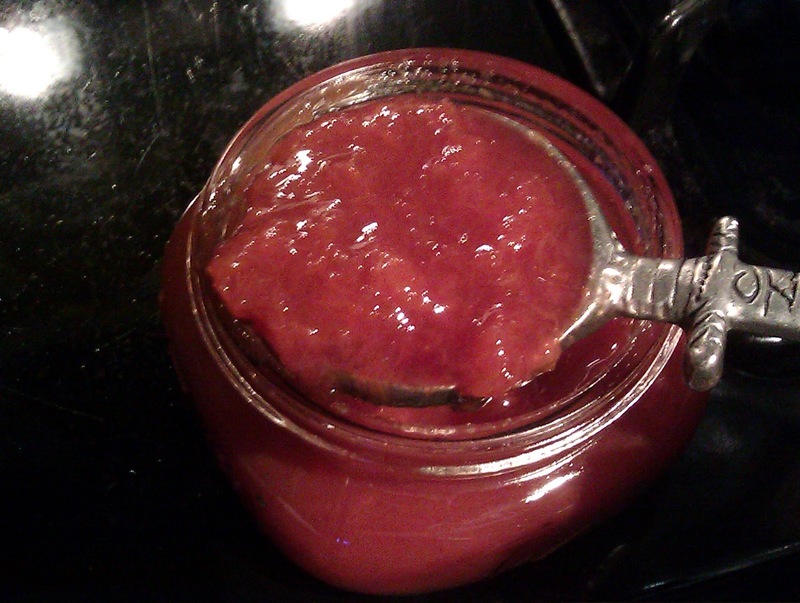 I am preparing for a cooking class and I am out of my own plum sauce. 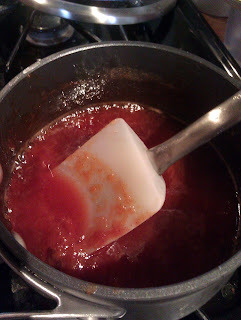 I have to use the store bought Chinese plum sauce. It is too sweet. 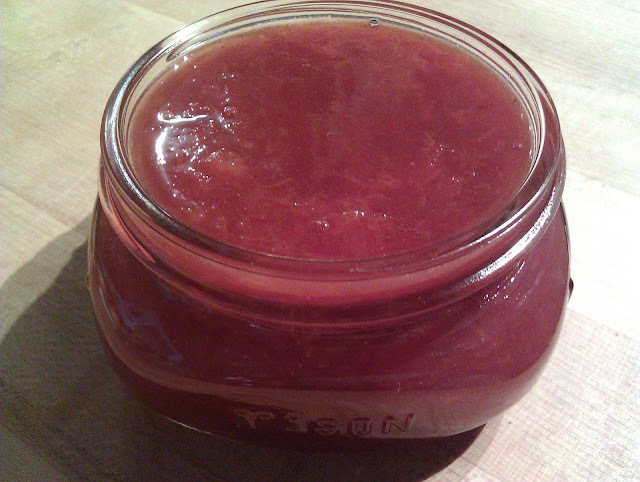 Just in case you are interested: I am using a product from Koom Chun sauce factory. It's a product from Hong Kong, readily availabe in most Asian store. 4 pieces of chicken filet, you can use thigh of breast. 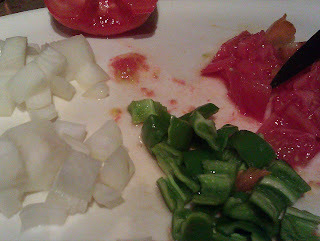 2 med tomatoes – I am using ½ a large tomato and a small one here. Clean, cut into ½” pieces. 1 sweet pepper, clean, remove seeds and cut into ½” pieces. 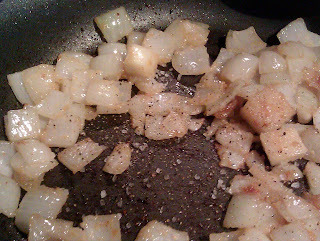 Heat 2-3 tbsp olive oil in a pan. Return the same pan to the med high heat. 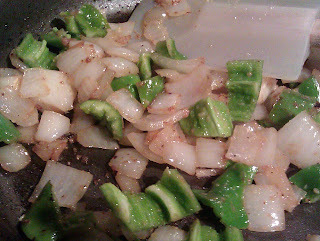 Add onion, garlic and ginger. Add green pepper, sauté for a few mins. Fold in tomatoes, and cook for a couple of mins to reduce some of the liquid. Bring to a boil and let it cook for a 2-3 mins till everything is combined and the sauce thickened. Arrange chicken in a serving plate. 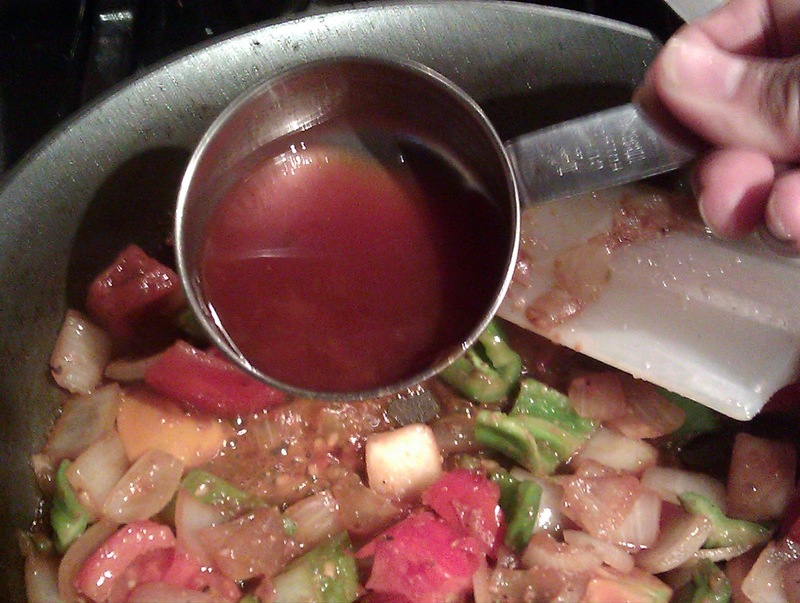 Spoon the sauce with vegetable on top. 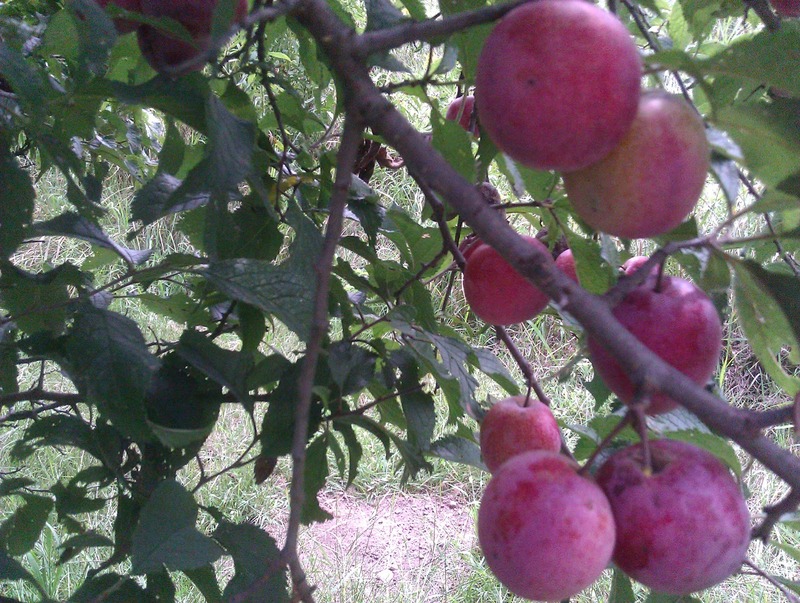 It was a nice surprise to find 4 plum trees in the back of Mr. Wonderful property. He planned those a few years ago and each year, his sister would come by and pick the plums for canning. With all the rain this year, there were over abundant of plums on the tree. When we got from our trip, the fruits were in need to be picked. He picked a bagful for me. As usual, he worked this weekend. I am home testing and writing. 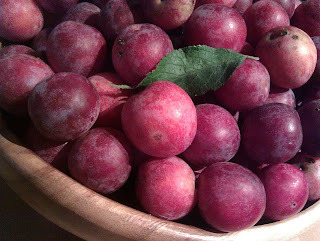 Plum is a versatile fruit; it can be a great dessert ingredient, as well as a wonderful addition to a savory dish. 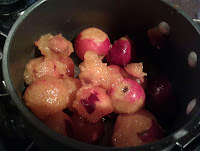 I am going to make some plum jam and my version of Chinese plum sauce. 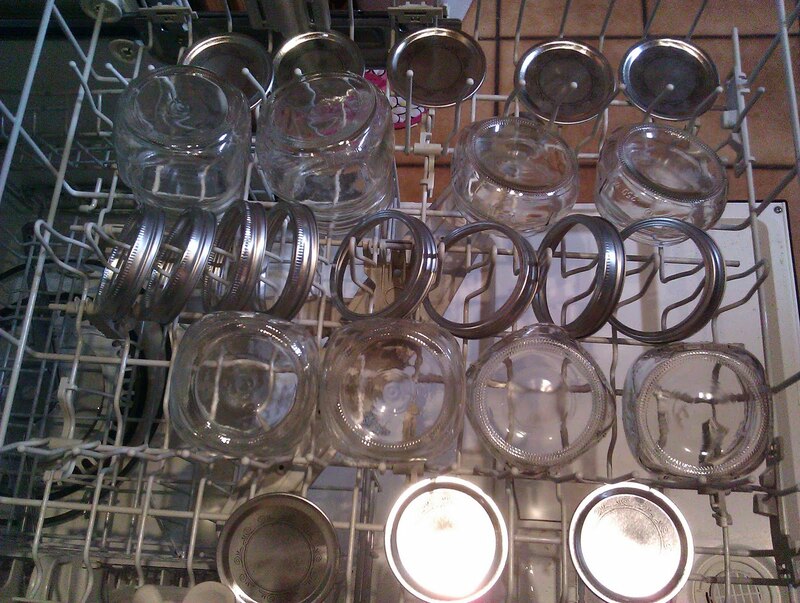 Sterilize Jars in dishwasher with sanitized cycle, or you can wash and boil the jars and cap. Drain. 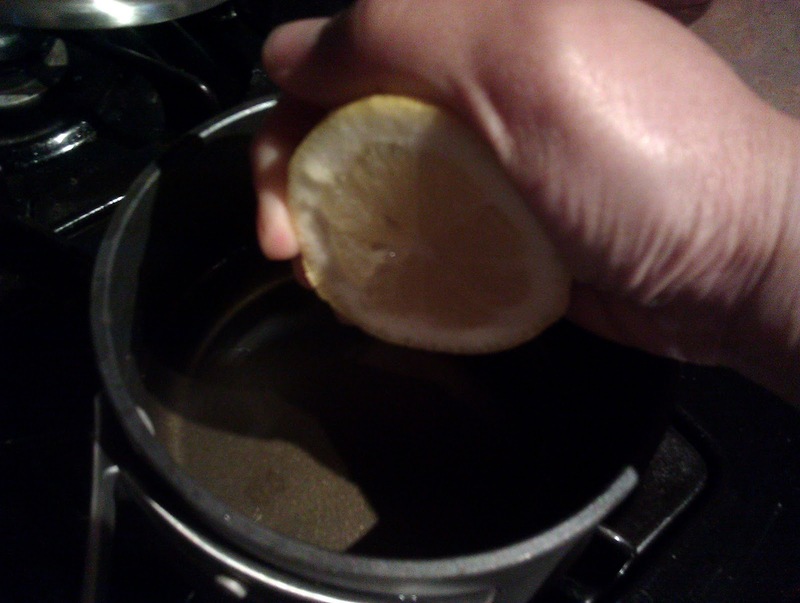 In a large pot, bring ½ pot of water to a boil. Divide the plum in a few batches, depending on the side of your pot. 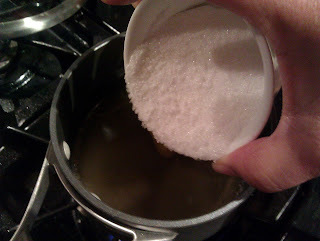 Fill a separate bowl with cold water ¾ way up. 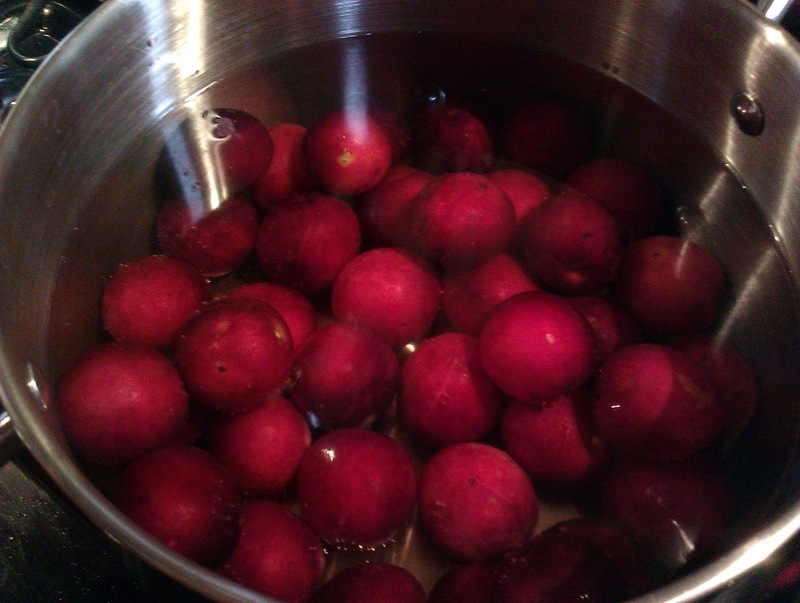 Drop the plums in the hot water, let stand for about a min. 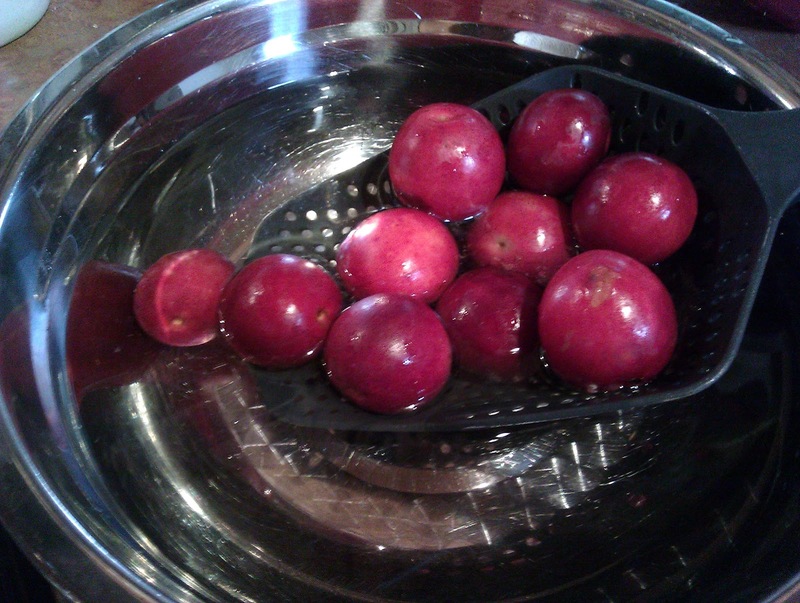 If the plums are not over ripe, wait for another min of so. Drop them in the cold water. Peel the skin off. 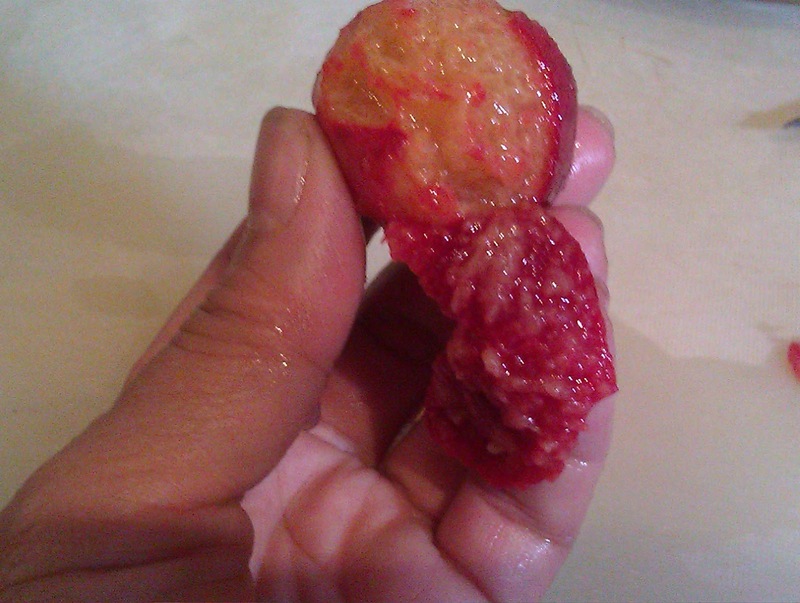 Cut the flesh of the fruit and remove the stone. 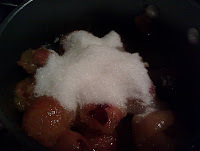 Place 5 cups of plum “meat” in a medium pot. 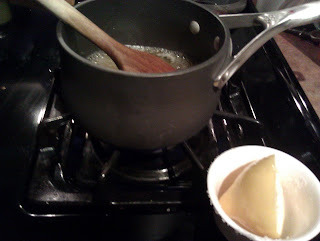 Bring to a boil and let it cook till thicken, about an hour. You can make the jam to a thicker consistence by adding no-sugar pectin if you like. 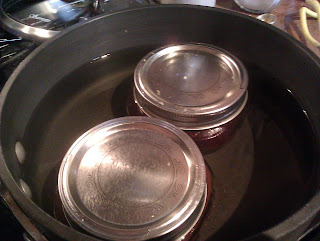 You can process the jam in a hot water bath, or freezer for later used. Store in the fridge. I also made a variation today by taking ½ cup of the jam and add ½ cup of blueberry. There were a few not too perfect over ripe plums in the batch. 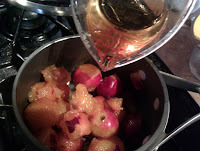 In a non-corrosive pot, mix plum with apple vinegar and sugar. Bring to a boil and let it cook for about 30 mins. Remove the stone if you preferred. Transfer the hot sauce to the mason jar. 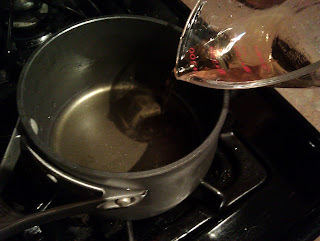 Process in a hot water bath if you prefer or store in the fridge.